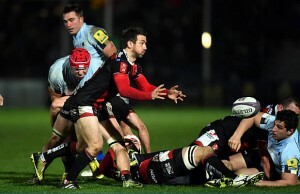 Current European Champions Toulon booked a place in the European Rugby Champions Cup quarter finals by beating Bath 14-19 at the Recreation Ground. Toulon failed to earn a bonus point from the match so they finished second in Pool 5 and Wasps progress as Pool winners. Both Wasps and Toulon went through to the quarter-finals but Toulon now face an away tie against one of the other group winners. However, they will have been relieved to secure a quarter-final ticket following a brutal encounter at Bath that could have gone either way. Australian full-back James O’Connor kicked two early penalties for Toulon before George Ford landed his first for the hosts. But the reigning champions struck first in terms of tries after a Bath mistake. The hosts turned over ball deep inside their own 22 and Toulon quickly moved it wide left for Steffon Armitage to brush off Ford and score on 19 minutes. 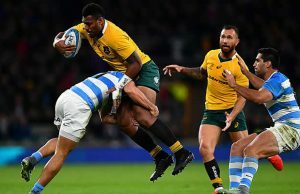 Another Ford penalty kept the English side in contention but they struggled to make any significant leeway against the well-drilled Toulon defence. It was mostly a midfield slugfest but too often Bath lost field position due to simple handling errors or a lack of discipline as they trailed 11-6 at half-time. Bath were a transformed outfit after the restart, though, and really took the game to Toulon with Anthony Watson finishing off a sweeping team move to score in the corner, despite what appeared to be a forward pass in the build-up. Bath’s tempo was explosive and they earnt a penalty in front of the posts that Ford kicked to give them the lead for the first time in the match. But almost immediately, Bryan Habana picked off a risky David Denton loop pass and ran in unopposed to score a try. 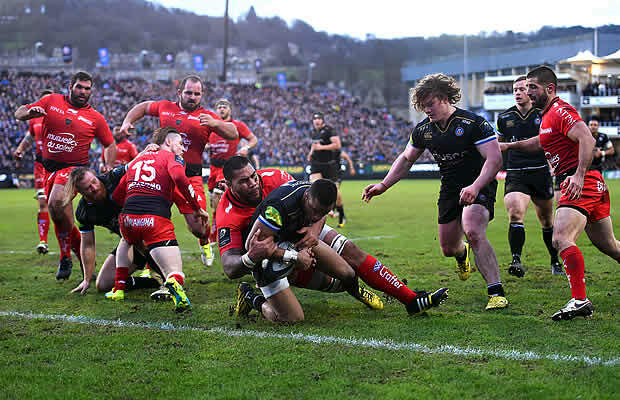 Bath were now desperately trying to hold on as Toulon turned the screw. But the tide turned again and Bath rolled downfield before winning a penalty from wide on the right, but Ford’s effort drifted just past the upright. O’Connor had the last word, kicking his third penalty, and although Bath had one last attacking chance to win the game, Toulon held firm.